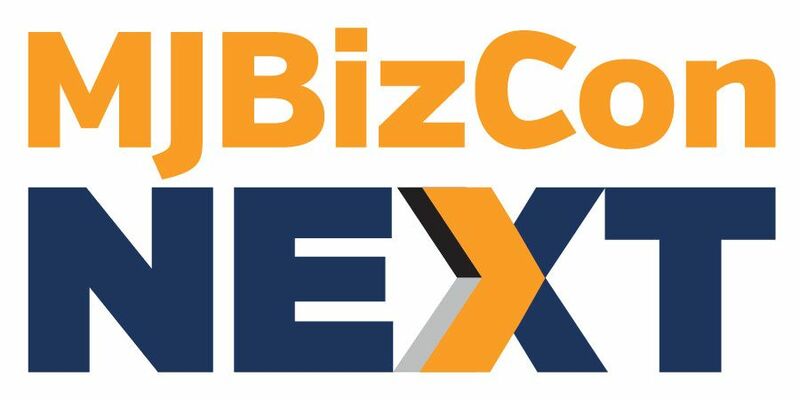 Despite competing with newer adult-use marijuana markets in other states that also attract swarms of tourists, Colorado’s established recreational cannabis business arena remains a steady retail sales leader on April 20 – the unofficial marijuana holiday known as 4/20. Retail cannabis sales in Colorado on Friday, April 20, 2018, hit $9.1 million – 128% higher than the average Friday (compared to the four Fridays before the holiday and the four Fridays after). 4/20 sales spiked higher in Colorado than in other adult-use states that legalized recreational use after the Centennial State, including California (103%), Nevada (106%) and Washington (97%). 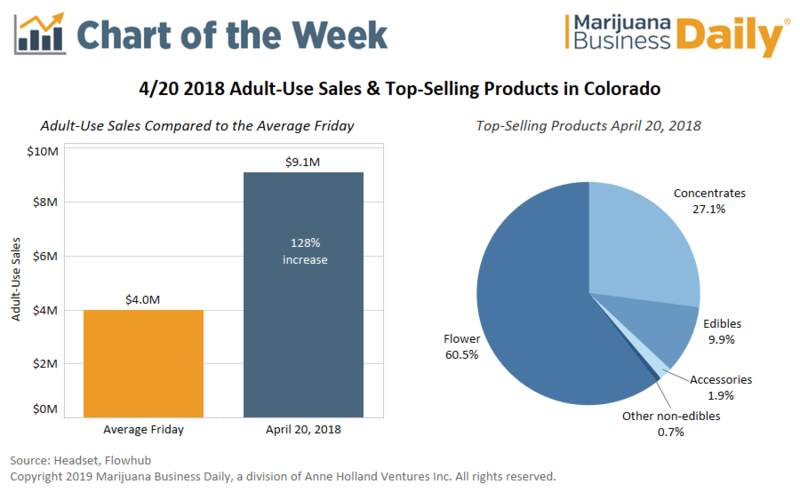 Flower – including bud, pre-rolls and shake – dominated Colorado sales, making up 60.5% of products sold on April 20, 2018. Concentrates accounted for 27% of sales with edibles at nearly 10%. Retailers attribute Colorado’s 4/20 sales growth to product selection, promotions and the state’s tourism draw. “In Colorado, we have a mature market with a large product selection that is hard to pass up,” said Lindsey Mintz, the co-owner of The Smokin Gun Apothecary, a marijuana retail store in Glendale, a city that neighbors Denver. That assertion is backed by Euflora, the host of the 2018 Mile High 420 Festival in Denver, which estimated 70,000 people attended its celebration on the lawns across from the state capitol last year. Mintz also noted one-time or infrequent cannabis consumers help boost sales around 4/20. “The most recreational of recreational users – those that might only purchase one time a year – come out because of the huge sales and just to experience 4/20 and see what it’s all about,” she said. This year marks the first time in Colorado’s legal recreational market that 4/20 falls on a Saturday, so retailers are gearing up for what could prove a record-setting weekend. Zach Engel, an inventory manager for The Clinic, a vertically integrated Denver-based cannabis business, said the firm’s adult-use locations see a 15%-20% increase in sales throughout April and a 25%-30% increase the weekend before 4/20. The Clinic anticipates a 100% increase in sales of pre-rolls during the 4/20 weekend and a 120% increase in the sales of vape products, Engel said. He also expects a 90% increase in sales of low-dose edibles, products that have less than 5 or 10 milligrams of THC. Year-over-year, concentrates and edibles are taking market share from flower, but flower – which, in this data, includes pre-rolls – remains the top-selling product category on 4/20, Mintz said. “Pre-rolls are easy,” said Dee Braack, the general manager of The Smokin Gun. Accessories and branded apparel also see a sales spike, Braack and Engel said. “The number of lighters, hand pipes, rolling papers and vape batteries we sell during different holidays is almost a 100% increase in sales,” Engel said.